Personal and professional experiences of African American Jungian analysts Fanny Brewster and Alan Vaughan illumine key and pressing issues in US politics, law, culture and therapies. The two speakers are widely appreciated internationally for their contributions to the fields of African American psychology and Jungian analysis. There will be much in this that is relevant to the British situation, especially (but not only) in the fields of psychotherapy, analysis and counselling. Helen Morgan, whose work develops an understanding of racism from a psychoanalytic/Jungian analytic perspective, will be the Respondent. The links to British experience are also carried by a special edition of Rotimi Akinsete’s acclaimed series BLACK MEN ON THE COUCH in which he engages in a therapy-style conversation with GARY YOUNGE of The Guardian. In addition, Fanny Brewster will read some of her published poetry and Alan Vaughan will present a series of images of art from the African Diaspora, with a commentary. The conference will be of interest to people in the therapy field, those working and studying in universities and colleges – and to members of the general public with an interest in the main themes. Tickets include refreshments during breaks but do not include lunch. There are many places to eat close to the hall. Dr Brewster’s talk is entitled ‘Binding Legacies: Ancestor, Archetype and Other’. 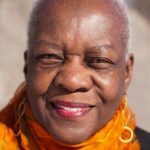 Dr Fanny Brewster’s publications include African Americans and Jungian Psychology: Leaving the Shadows ((Routledge, 2017), and Archetypal Grief: Slavery’s Legacy of Intergenerational Child Loss (Routledge, 2018). Her poems have recently been published in Psychological Perspectives, where she was the Featured Poet. Dr Brewster is a Jungian analyst and Professor at Pacifica Graduate Institute. She is a faculty member at the New York C.G. Jung Foundation and the Philadelphia Association of Jungian Analysts. She is a lecturer and workshop presenter on topics that address culture, diversity and creativity. Dr Brewster was most recently a speaker at the 2017 International Association for Jungian Studies Conference (IAJS) in Cape Town, South Africa. Dr Vaughan’s talk is entitled ‘African Embodiments of Truth and Justice: Archetypal Perspectives on U.S. Constitutional Jurisprudence – A Critical Framework for Analysis of Jung’s Experience of African America’. Alan G. Vaughan, Ph.D., JD is in private practice as a Jungian analyst and a clinical and consulting psychologist in Oakland, California. As an analyst member of the C. G. Jung Institute of San Francisco, he is a contributor and serves on the editorial board of the Jung Journal of Culture and Psyche and on the Institute Committee on Diversity and Inclusivity. He has an academic appointment on the core doctoral psychology faculty at Saybrook University. His scholarly interests and publications are at the intersections of analytical psychology, historiography, U.S. constitutional jurisprudence and international law, and African Diaspora studies. 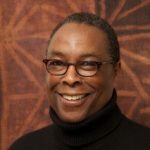 His publications include A Study of the Transition of African American and African Males from Youth into Young Adulthood (1979); Jung, Analytical Psychology and Transpersonal Psychology (2013); Analytical and Cultural Perspectives on the Life and Art of Jacob Lawrence (2016). Helen Morgan is a Senior Member and Fellow of the British Psychotherapy Foundation and a training analyst and supervisor for the Jungian Analytic Association within the BPF. She works mainly in private practice as an analyst and supervisor in individual and group settings. Chair of the British Association of Psychotherapists, 2004 – 2008, and currently Chair of the British Psychoanalytic Council. Her background is in therapeutic communities with adolescents and in adult mental health. She is interested in developing an understanding of racism from a psychoanalytic/Jungian analytic perspective. Her papers on the subject include: Between Fear and Blindness: The White Therapist and the Black Patient (1998); Exploring Racism (2002); Issues of ‘Race’ in supervision. (2007); Issues of ‘Race’ in Psychoanalytic Psychotherapy: Whose Problem is it Anyway? (2008). Rotimi Akinsete is a therapeutic counsellor and clinical supervisor with extensive experience in community and NHS counselling services. He is founder and director of Black Men on the Couch, a special interest project focussing on psychotherapy and identity politics of African and Caribbean men and boys. Rotimi formerly held a post as service lead for adolescent counselling for the North East London (NHS) Foundation Trust where he managed a large team dealing with diverse and challenging issues and has worked as an independent facilitator, trainer and advisor on various transformational leadership programmes. Rotimi has sat on a number of panels around the subject of counselling and psychotherapy and has conducted several workshops. He is a member of the British Association of Counselling and Psychotherapy (BACP), Psychotherapists & Counsellors for Social Responsibility (PCSR), a member of the leadership group of BAATN (Black, African and Asian Therapists Network) and and an executive member of the Association of Managers of Student Services in Higher Education (AMOSSHE). 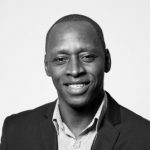 Rotimi is currently the Director of Wellbeing at the University of Surrey. Please pay by direct transfer of funds to Confederation for Analytical Psychology. If you pay online, please confirm booking to Jane Nairne, CAP Administrator at capenquiries@gmail.com using your name as a reference. Alternatively, cheques should be made payable to “Confederation for Analytical Psychology” and posted to: CAP, Flat 170, 15 Bessemer Place, LONDON SE10 0GQ.